The Biennale di Venezia announced today that A Star is Born, the much-anticipated directorial debut of four-time Oscar® nominee Bradley Cooper (American Sniper, American Hustle, Silver Linings Playbook) and feature film debut of award-winning actor and Oscar® -nominated musical artist Lady Gaga (Best Song, “Til It Happens to You,” The Hunting Ground), will have its out-of-competition world premiere at the 75th Venice International Film Festival. The premiere screening of A Star is Born, which was also co-written and produced by Cooper, will be held on Friday, August 31st, in the Sala Grande at the Palazzo del Cinema on the Venice Lido. 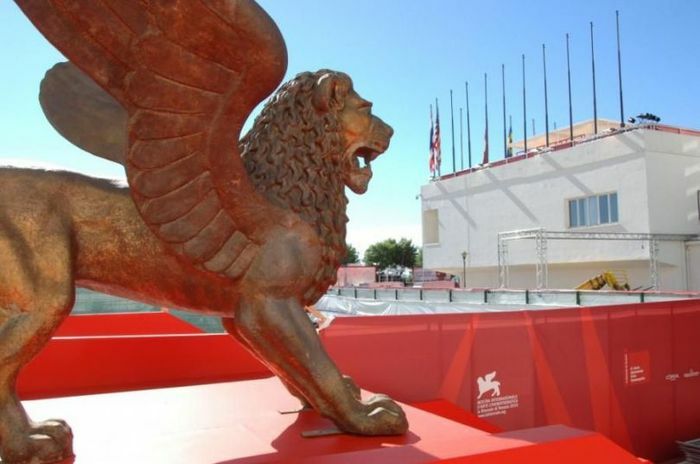 The 75th Venice International Film Festival will take place at the Lido from August 29 to September 8, 2018; it is directed by Alberto Barbera and organized by la Biennale di Venezia, chaired by Paolo Baratta. A Star is Born comes to cinemas this October from Warner Bros. Pictures, in Association with Live Nation Productions and Metro Goldwyn Mayer Pictures. In this new take on the powerful love story, Cooper plays seasoned musician Jackson Maine, who discovers—and falls in love with—struggling artist Ally (Gaga). She has just about given up on her dream to make it big as a singer until Jack coaxes her into the spotlight. But even as Ally’s career takes off, the personal side of their relationship is breaking down, as Jack fights an ongoing battle with his own internal demons. A Star is Born features original songs performed live on-camera by Cooper and Gaga, who wrote a number of tracks together and in collaboration with such musical artists as Lukas Nelson, Jason Isbell and Mark Ronson. The film’s ensemble cast also includes Andrew Dice Clay, with Dave Chappelle and Sam Elliott. A Star is Born is produced by Bill Gerber, Jon Peters, Bradley Cooper, Todd Phillips and Lynette Howell Taylor. Ravi Mehta, Basil Iwanyk, Niija Kuykendall, Sue Kroll, Michael Rapino and Heather Parry serve as executive producers. The screenplay is by Eric Roth and Bradley Cooper & Will Fetters. Collaborating with Cooper behind the scenes are Oscar-nominated director of photography Matthew Libatique (Black Swan), production designer Karen Murphy (It Comes at Night), three-time Oscar-nominated editor Jay Cassidy (American Hustle, Silver Linings Playbook, Into the Wild), and costume designer Erin Benach (Drive). The film’s music supervisors are Julia Michels (Pitch Perfect) and Julianne Jordan (Edge of Tomorrow).